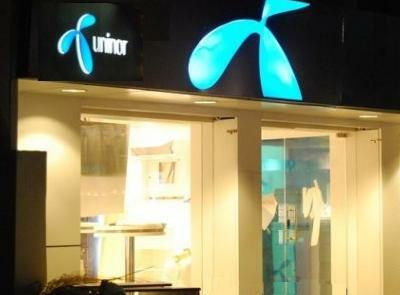 Uninor today announced the launch of a special Talk Time Transfer facility for its Karnataka customers. This offering makes it possible for Uninor pre-paid subscribers to borrow or transfer talk time from family and friends should they require it. Uninor prepaid Subscribers can transfer balance amounts ranging from a minimum of Rs 5 and a maximum of Rs 50 at one go; on any given day a maximum of 7 such transactions are allowed. This offer is applicable for Uninor Karnataka circle only. 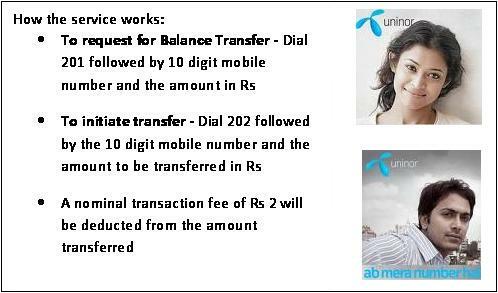 To request for balance transfer subscribers need to dial *201*<10digit Mobile Number>* # and to initiate the transfer subscribers need to dial *202*<10digit Mobile Number>* #.Rs 2/- will be deducted as processing fee from the amount transferred.